Laboratory certified diamonds are graded by trained gemologists. Gemologists are responsible for noting all the vital details of a gemstone – such as its cut, carat, clarity and color, and then mark (or inscribe) their certification of authenticity on it. Having a certified gemstone means that you’ve got the genuine product. Also, it’s going to be very easy for you to resell it in future, should you want to do that! Loose diamonds do not come from a very large ownership. There are limited owners supplying diamonds and therefore, in order to maintain accuracy at times, names of the owners are also hidden in labs to make sure the diamonds are certified without bias of any kind. Every stone is thus graded objectively; at times more than a single gemologist may be employed to grade a diamond to ensure its accuracy. Labs certifying gemstones are that serious about the quality and commitment to live up their name of helping buyers find the ‘genuine’ gemstones without any hiccups. If you are shopping for diamond stones, you will come across GIA certified diamonds because it is an international standard recognized for its authenticity worldwide. It’s the best and everyone knows that. You can easily compare non-certified or stones certified by other labs for cut, clarity and size with GIA certified diamonds and notice the huge difference. It actually means that when you purchase a diamond with GIA certification, you are purchasing the best quality gemstone no matter how small or big pocket you’ve got. GIA certified diamonds are sold with detailed grading report and therefore, when you purchase a GIA gemstone you need to make sure that you receive the grading report along with your purchase. If a seller refuses to provide you with the report, it is an indication that you should take your shopping elsewhere. Yeah, seriously! There are many grading laboratories in the world and some of the more recognized ones included the Gemological Institute of America (GIA), International Gemological Institute (IGI) and the European Gemological Laboratory (EGL). Gemological Institute of America (GIA) is considered the best in the world and this reputation is not without a reason. Each of these and the other laboratories out there use different grading methods, but GIA is considered to be the undisputed best when it comes to certified loose diamonds. Gemological Institute of America (GIA) is an independent, non-profit organization which is considered the foremost authority in gemology. This institute is responsible for setting standards for colour and clarity and grading diamond stones, which is considered a standard almost in all parts of the world. Institute’s basic motive is to augment consumers’ trust in loose diamonds and diamond jewelry. Since its foundation in 1953, GIA’s gemstone and diamond grading system is recognized is its certification is accepted as a standard worldwide. 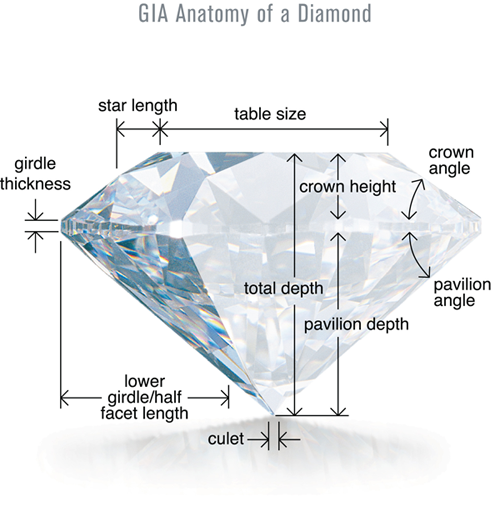 GIA certified diamonds are competitively priced. It is also very easy to compare prices of gemstones and jewelry certified by its labs. If you like ‘a’ diamond in one store, you can simple call up other jewelry stores and confirm about the price of the same certified diamond. You can then easily make a choice of the jeweler offering you the best price.